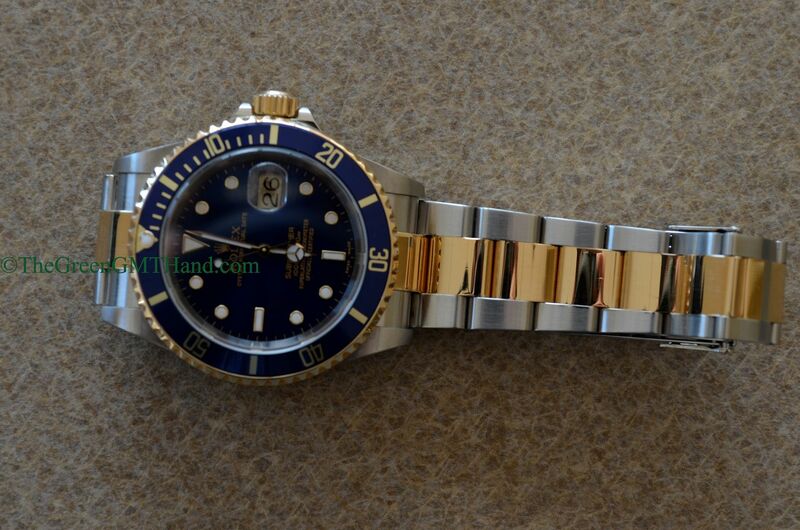 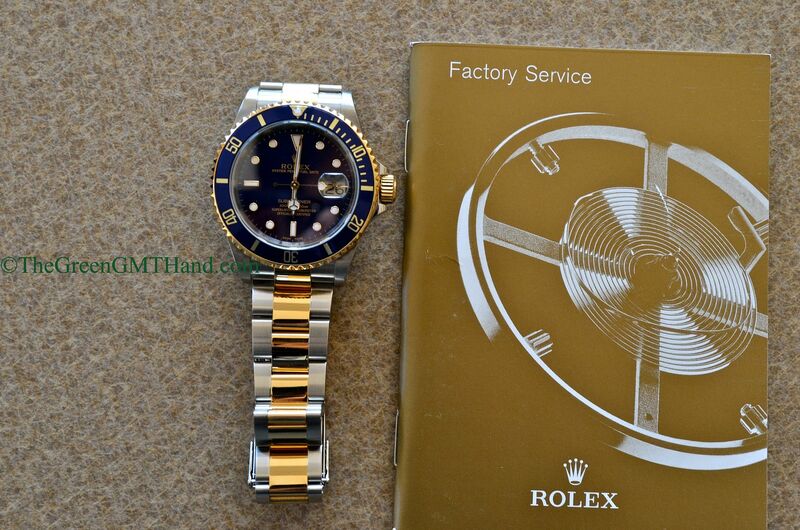 This K serial Rolex 16613 blue Submariner features the deeper original “Sunburst” blue dial color that Rolex used before switching to a lighter blue color for its 116613 ceramic blue Submariners (Rolex has since switched back). 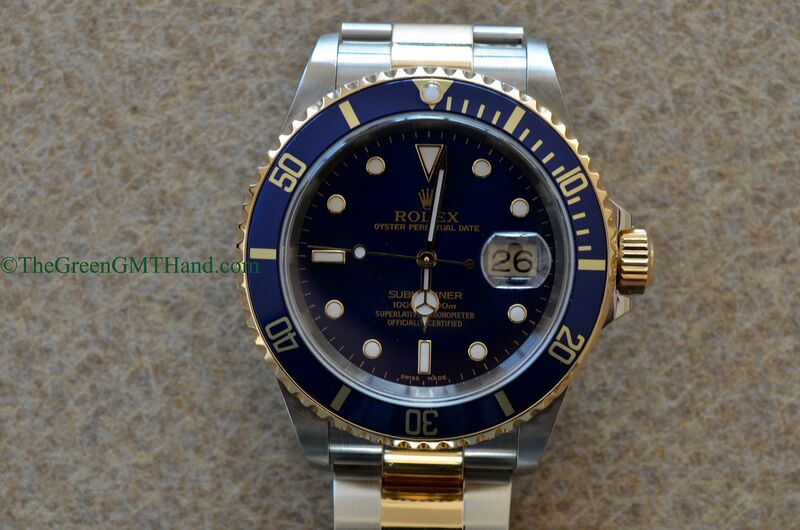 However, this same deep rich blue color dial and bezel is coming back to the 116613 after being displayed at the 2013 Baselworld. 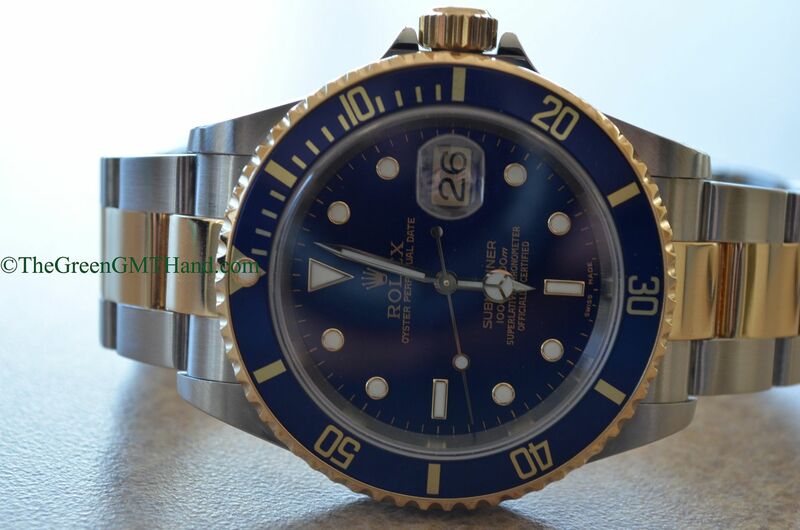 The date wheel on these 16613 Submariners were never white as each were slightly tobacco brown, almost as if the date wheel has been aged coming out of the factory. 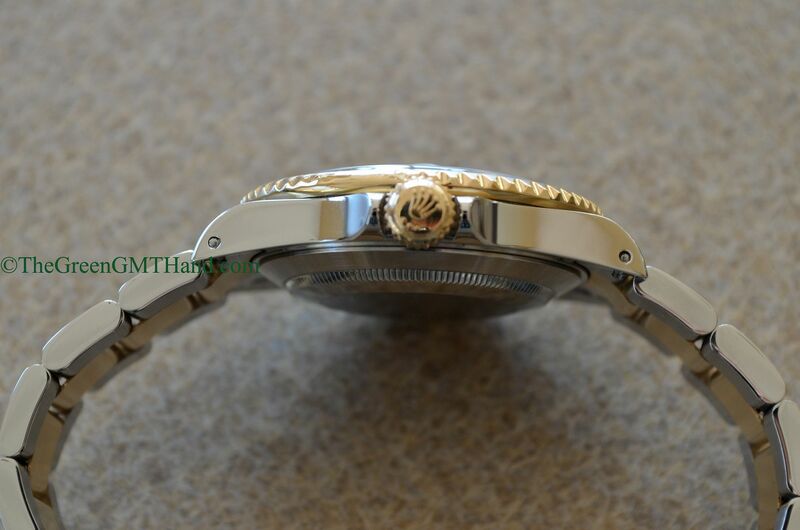 This is very unique to the 16613. 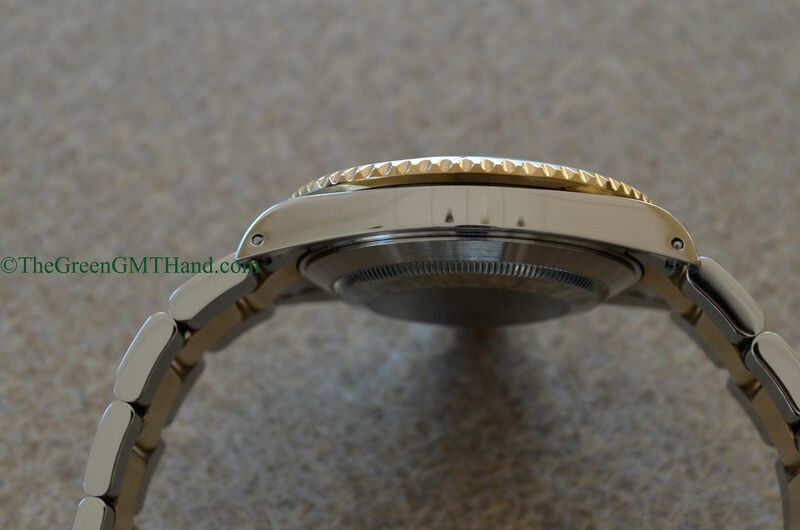 Note the original flat four bezel insert. 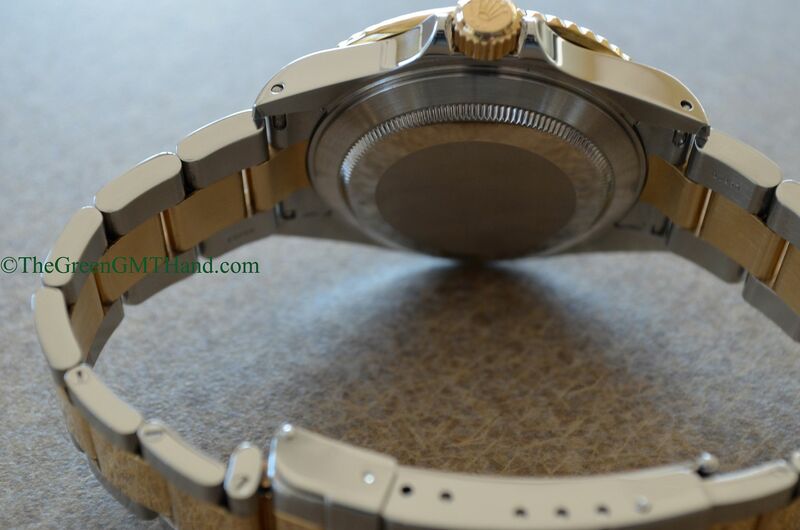 This K serial is also a transitional period for the Submariner as seen through the rare combination of lug holes on the case and the new style solid end link (SEL) bracelet with the gold through clasp. 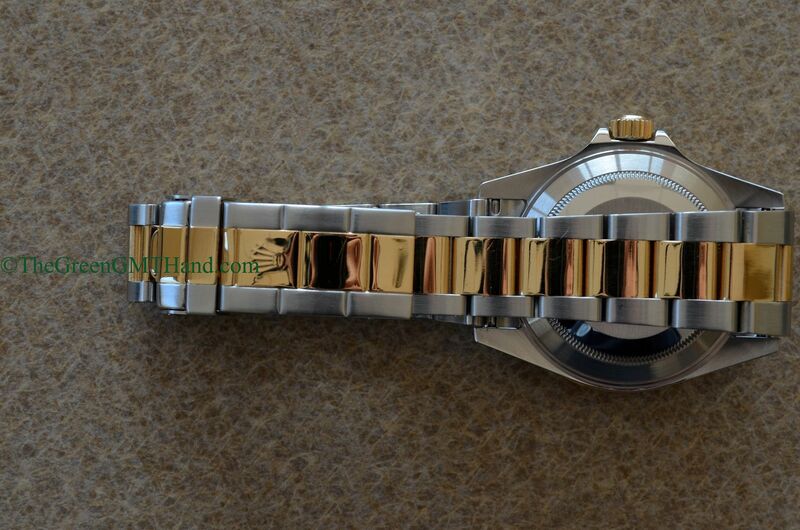 The dial is also a luminova dial unlike the tritium dials (non maxi) that preceded this change. 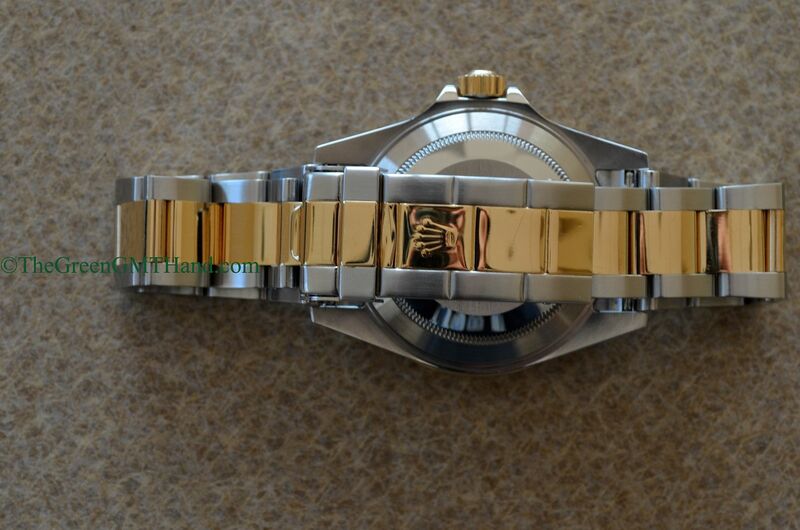 SOLD and delivered to our buyer as a watch only.